Today, the U.S. Forest Service published its final report in response to that executive order, singling out 15 actions to target for revision. Among them, Public Land Order 7787, the 2012 Department of the Interior order that temporarily banned new uranium mines on over one million acres of public and national forest lands around Grand Canyon National Park for a period of 20 years. According to the Forest Service report, the agency reviewed more than 70 of its actions and came away with 15 specific recommendations — among them, to revise the Grand Canyon mineral withdrawal. Strangely enough, the report also acknowledges that no nuclear energy is currently derived, nor royalty revenue earned, from uranium mined on national forest lands. 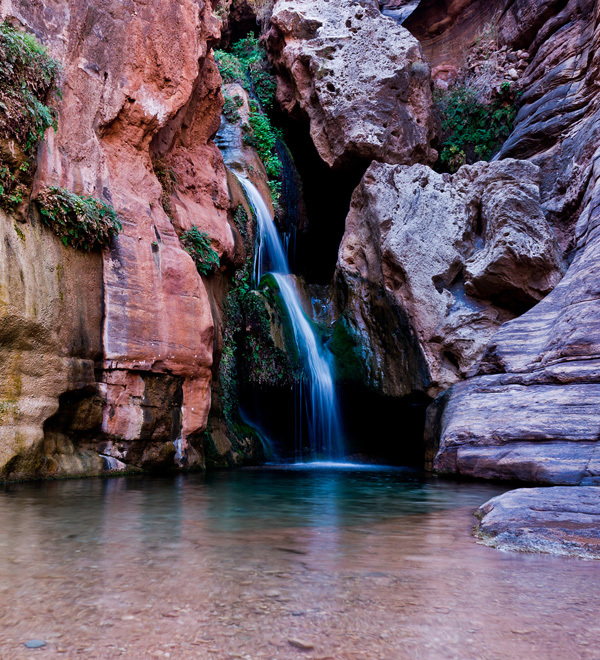 It’s the private mining companies that stand to benefit from opening more lands to uranium mining, while the public, the Havasupai Tribe, and this sacred place itself bear the risks. While the Forest Service identifies the Grand Canyon mining ban for "revision," it’s unclear at this time exactly what that means. It could mean shrinking the duration of the ban, set to expire in 2032, or reducing the acreage included in the ban, or both. As far as we can tell based on the information available, it does not mean the agency is recommending lifting the ban entirely, something the mining industry has been pushing for in court. The Forest Service sets out a three-year timeline for revising the ban, from October 2017 to October 2020, and lists it as a priority “J” in a priority ranking system lettered A through K, relatively low priority compared to other regulations and actions it identifies as targets for revision. Understandably, this is alarming for many Americans who understand the dangers of prioritizing energy development above protecting people and the environment from its side effects. Among those alarmed, you can count the broad coalition of local governments, business owners, conservation groups, and tribes whose hard-fought campaign to protect the Grand Canyon from uranium mining led then-Secretary of the Interior Ken Salazar to order the temporary mining ban in 2012. The ban recognizes the toxic and radioactive history of uranium mining in the Southwest, and the irreplaceable nature of the land and water of the Grand Canyon. The purpose of the temporary ban was to allow scientists time to better understand the complex geology and groundwater flow around the Grand Canyon and to determine if uranium mining could be done safely in the region. Without this improved understanding, allowing any new mines to go forward would be gambling that they won’t contaminate the land and water resources critical to life and culture both within the canyon and beyond. Some places are too precious to mine. Grand Canyon is one of them. It’s our responsibility, as a nation, to show we are worthy of this natural wonder. Please, help us implore the Forest Service to Keep the Canyon Grand and reconsider its recommendation to review the common-sense mining ban. Uranium in the Grand Canyon aquafers will Ultimately reach the water in the Colorado River, a major source of drinking water for millions of people. Keep them safe, or weaponize their water?